A must for the bowler with dry skin. By Bill from Staten Island N.Y. It gives me the feel I need to be successful at release. I bought 3 dozen of these for a youth bowling party. I put these in a goody bag and the kids loved them. Some of the kids had never had a rosin bag and thought it was cool. The more serious bowlers were also happy to receive these. Great price and great product. 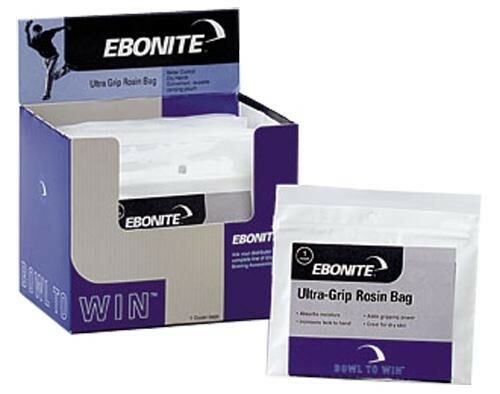 Due to the time it takes to produce the Ebonite Ultra-Grip Rosin Bag (Dozen) ball it will ship in immediately. We cannot ship this ball outside the United States.